Yesterday, I bought my personal toiletries from the Human Nature Flagship Store. I also bought some orders for my customers. 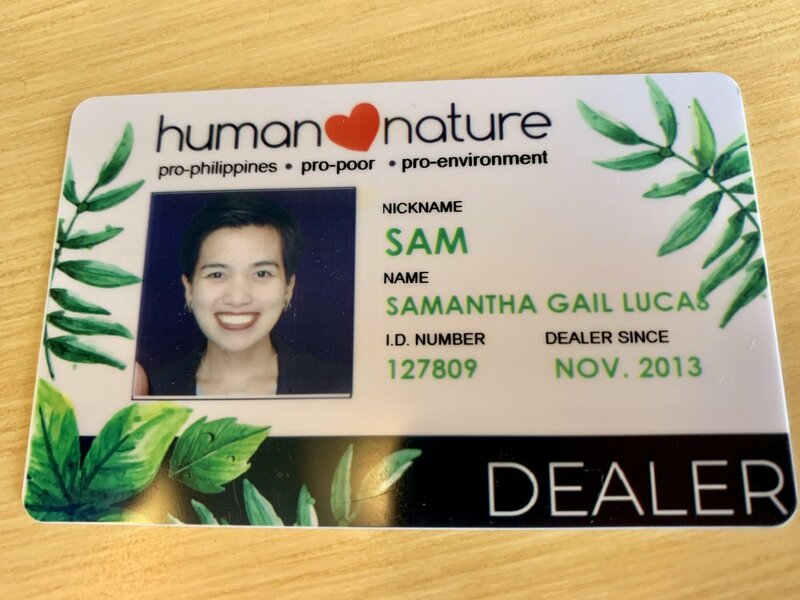 For all your natural personal care needs, just buy from my Human Nature Online Store! Thank you! I also claimed my Dealer ID from the girls at the store. I finally got my own Human Nature matte lipstick too! This is much talked about as the packaging is mostly paper. Here I am in the shade Warmth. I indulged in some pasta for lunch at the Vertis North weekend market. I ordered their strawberry mango cheesecake froyo and it was heavenly as always! We also had Fried Chicken Master. And for dinner, I had Kimchi Project’s kimchi rice. Life is always better with natural products, good food, and great company!